Nothing comes between a woman, her bowl of french fries and THAT top she saw at Sarojini Nagar market. Not even the meagre remains of her salary in her bank account. Delhi women can't have enough of it and non-Delhiites never leave the city without making a trip to the shopping hub of Delhi. 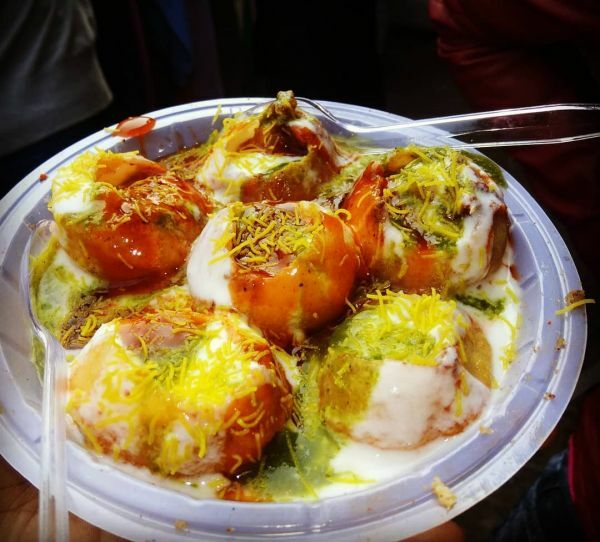 In fact, if you are visiting Delhi for the first time and have shopping as one of your agendas, which I highly recommend, you will come across Sarojini Nagar market as a part of shopping tours in Delhi, guided tours in Delhi’s markets, things to do in Delhi, where to shop in Delhi, etc etc. It is a part of every traveller's to-do list and a destination for every woman who is out on a bargain hunt. To sum things up in three words - Sarojini is awesome. And it's not just us...Indeep Bakshi and Badshah wrote a song about it too. You know it! Sarojini ke kapde pehenke jaati madam disco! Heck, we actually do wear Sarojini clothes to disco and pretty much everywhere else. So, without much ado, here is your guide to everything Sarojini. From street shopping to all the food places and restaurants around the area, we are your Saro-gate! Here you go. Pro Tip: Don’t fall for the street pedalers selling cosmetics by brands like Lakme, Maybelline, MAC and Huda Beauty for as low as Rs 50. They are convincing but genuinely FAKE! According to a recent survey, 70% beauticians and beauty parlours use makeup bought from Sarojini Nagar market. Other than this, Sarojini truly is every shopper’s haven. Walking out empty handed is a rare case when it comes to Sarojini market and finding super cute items at a steal of a price is highly common. 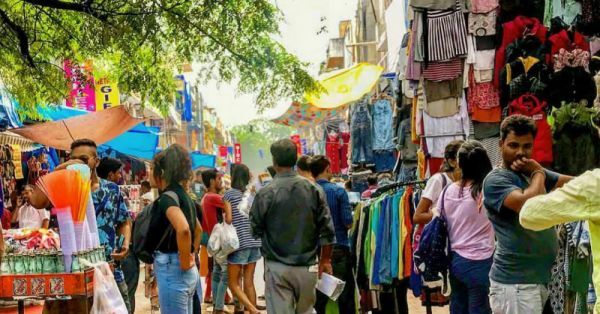 No matter what your style is, if you are one to keep up with trends, there is no place like Sarojini market and trust us, it is quite the lifesaver when you are broke. You can buy trendy stuff at cheap prices and look like a million bucks. Apart from all things shopping, Sarojini also houses some of the best street food joints in Delhi and a mall called the South Square Mall with many popular restaurants - such as Haldiram’s, Domino’s, McDonald’s - to take care of all your mid-shopping cravings. It is because of things like these that Sarojini is what it is. 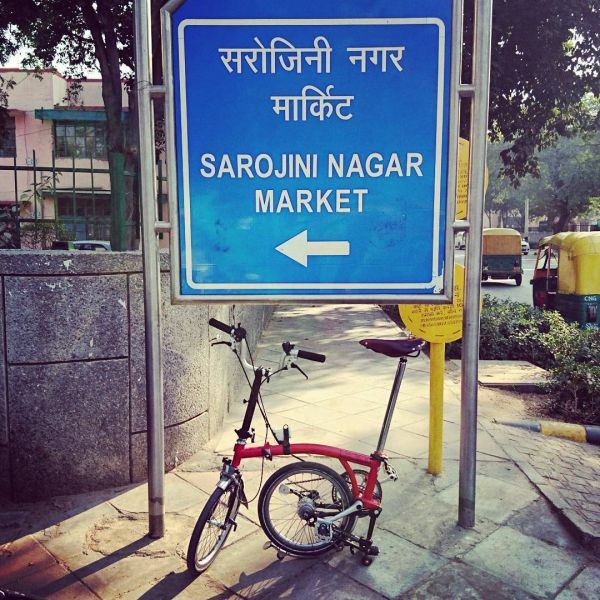 Where Is Sarojini Nagar Market? Sarojini Nagar is located in South-West Delhi near Dilli Haat in INA. It is just an auto ride away from the INA Metro Station. 1. Although the market opens at 10 am, officially, the market is all set and ready for sale between 11 am and 12 noon. But I suggest you go there after 1 pm. If you are one of the first customers, you will fall prey to the shopkeepers’ superstition of the first sale of the day, or as we Indians call is, ‘boney’. The superstition says that if the first sale of the day is profitable, the entire day will be profitable too. This will make it hard for you bargain, as sometimes, the shopkeeper just don’t budge. Oh, the emotional blackmail. 2. If you are blocking your weekend for Sarojini, do it at your own risk because it is going to be crazily chaotic. Sarojini is the most crowded on Saturdays and Sundays, shopkeepers have way too many customers to tend to so you might get completely ignored (yes, that has happened to me) and there is always the parking horror to deal with. If you really can’t go on a weekday, don’t take your vehicle along. Scroll below to find out how to reach Sarojini Nagar market. 3. Some shops in the market don’t have proper lighting in the evening, so it is advisable to shop during the day time. Also, the market closes at 9 pm. 4. If it is the latest collections and trends that you are expecting in your trip to Sarojini market, Tuesday is your best bet. Monday is when the market restocks so Tuesday will have all things fresh and new. When Is Sarojini Nagar Market Closed? Sarojini market is closed on Mondays as that is when the restocking of new stuff takes place. But, since my college was within walking distance of Sarojini, once, thanks to a cancelled class I tried my luck on a Monday due to a cancelled class and found that, while all the shops are not open, some actually are. And since the majority of people think Sarojini is closed on Mondays, it is not crowded like it usually is. Since then, I have always gone to Sarojini on a Monday and come back with a lot of stuff. 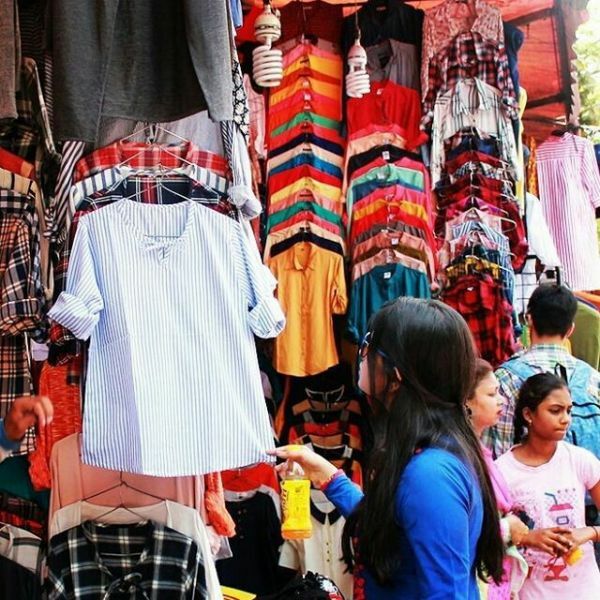 Plus, the Monday market is extra special as the shopkeepers sell all the previous week’s stuff for as cheap as Rs 50 for a brand new top! Seriously. Book a date with your bestie already! How To Reach Sarojini Nagar Market? If you don’t want to spend too much on the commute, travelling to Sarojini market by bus is your best option. Delhi Transport Corporation (DTC) services have made life a lot easier. Nearest Bus Stop: Sarojini Nagar Market. Other nearby bus stops are Sarojini Nagar Depot and Sarojini Nagar Police Station. From these stops, you are just a 5-minute walk away from the market. However, there are only a limited number of direct bus routes to Sarojini Nagar including routes - 512, 536, 544, 544A, 610A, 615. If your route doesn’t fall under this list, you can always try an indirect bus route with connecting buses. Check out www.delhitravelhelp.in and search for bus routes between any two stops at the click of a button. The Sarojini Nagar market is seamlessly connected by the DMRC (Delhi Mass Rapid Transit System), better known as the Delhi metro or metro. Thanks to many different metro lines, reaching Sarojini from any corner of the city is now just a token away. All you need to do is find a metro station near your house and board a train to Sarojini. Nearest Metro Station: Sarojini Nagar (pink line) where you exit from Gate No. 1. The market is just 500m away from the metro station. In other words, a 5-minute long walk. Change at Netaji Subash Place station or Welcome station to switch to pink line. Get down at INA station. Exit from Gate No. 4. You will find a ton of auto-rickshaws that can take you to the Sarojini market for 30 bucks. You can also take an auto on a sharing basis for as low as Rs 10-20 (depending on the number of passengers) per person. Change either at Rajouri Garden station or Mayur Vihar-I station to switch to pink line. There is no direct way for green line travellers to reach Sarojini. You will have to change at two intersections. The shortest route will be to switch to the blue line at Kirti Nagar station and then change again at Rajouri Garden station for the pink line. Change at Lajpat Nagar station to switch to pink line. Switch to the yellow line at Haus Khas station. From here, you can either change again at INA station for the pink line or simply take an auto from INA as described in point 2. 1. Sure, you have the parking bhaiyas with a receipt booklet to help you park but it isn’t a recommended. Thanks to the South Square Mall just across the street from the Sarojini market, you can park your vehicle at the mall’s underground parking. The parking is really advanced and systematic. It is the safest option there. 2. Don’t park your car in front of the houses nearby. The residents are so fed-up of such ‘visitors’ that they land up deflating the tires. 3. Not just that, the area is a tow-away zone. Trust me, one of my friend’s car did get towed by the Delhi Police. Collecting it back involves a lot of effort and fine. Bear that in mind. Pro Tip: Before leaving the house, do check the shortest route on Google Maps to avoid traffic and get an accurate estimate of your journey. 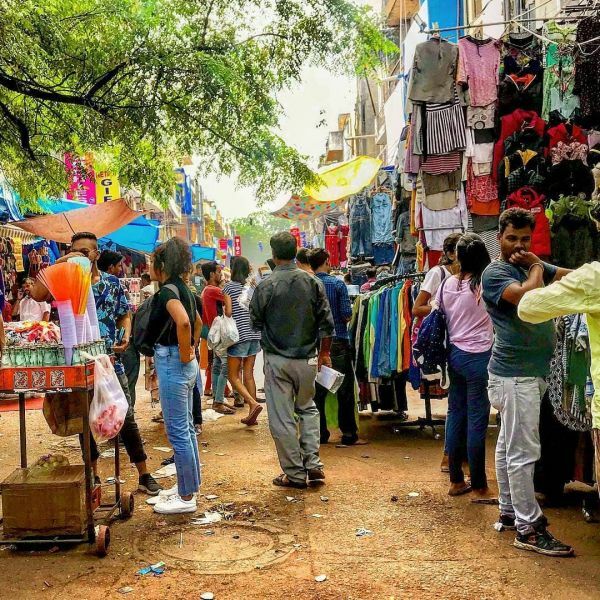 All things said and done, let us finally come to the real part that makes Sarojini Nagar market such a hype - all the fabulous stuff that you can do there. As already mentioned above, Sarojini is a shopper and foodie’s paradise. You will be spoilt for choice for both. Let’s get to the bottom of it one shop at a time, shall we? The market is full of shops and showrooms offering both high street trends - copied and exported - as well as some genuine brands. There is not even an inch of the Sarojini market that doesn’t sell anything. While the market is full of shops of all dimensions, the streets within the market are crowded with hungry shoppers, cosmetic vendors, lemonade stalls and women selling junk jewellery on a wooden plank. Not just that, in some parts of the market, you will also come across a spice market, vegetable sellers, tablecloths, towels, lamps, curtains and doormat sellers, sock vendors, and small lingerie stores. Imagine a gigantic hollow ‘H’. The lines constitute the streets for us to walk on and all the free space North-South-East-West of it is your beloved, Sarojini. Amidst all that’s happening, don’t you want to know where to go? That’s why you need us. Here is a breakdown of the most trendy areas in Sarojini. Yeh nahi dekha, toh kya dekha? There are two popular export gallis or lanes that house every trend you could want. From off-shoulder styles to high-slit denim skirts to animal print, you will find it all hung there in all their glory to be pounced upon by you and I. Ask anyone for directions to the export galli and they will send you to the fashion heaven you have been looking for. The graffiti wall lane is all about dressy tops, shirts and blouses. You will find excellent matches for all your blue jeans and black treggings. The walls don’t just sport good ol’ graffiti but also hundreds of hangers displaying different types of tops. Follow our exhaustive list of 35 types of tops and we dare you to name one that Sarojini doesn’t have in store for you. Faux and genuine, there are three leather export shops that will serve you all things leather all year round. From bags, boots, jackets and other footwear styles such as juttis, Kohlpuris, and whatnot, these shops stock export surplus from brands like ASOS, Zara, Bershka, Topshop, to name a few. Lately, they are also selling homemade stuff but that is hard to bargain for. All the three shops are side-to-side on the extreme left of the graffiti wall lane. You will come across a lot of circular racks full of skirts or tops in front of shops with cardboards on top saying, ‘Rs 200 only’, ‘Fixed Price’, ‘No Bargaining’. At such signs, don’t even try bargaining but do try your luck and pick up a fashion item that is worth the effort. This stuff is usually free size so don’t worry too much about the fit. You may not always find something amazing but, TBH, it is because of these pile shops that I end up bringing home a new skirt on every trip to Sarojini. Guilty as ‘charged’! Just like a zoo has caves where sit the most exotic animals, Sarojini Market, too, has export caves or a gallery, if you will, full of one-of-a-kind stuff that you won’t find anywhere else in the rest of the market. The bigger cave is around the popular peepal tree (which also houses a tiny temple) and the other two are adjacent caves in the opposite part of the market near the graffiti wall with clothes on the floor, clothes on the slab, clothes hanging by the ceiling and on the walls, and clothes on top of other clothes. I cannot begin to tell the magnitude of chic party wear I have ought from these. Old Tree is a haven for vintage as well as trendy handbags of all kinds - sling bags, totes, satchels, backpacks, bucket bags, coin purses - in uber cute and unforgettable styles. Leather, suede, canvas, they keep a stock of all kinds of bags. Although, bargaining here is slightly tough. The average price of a bag at this little store is around Rs 1,500 but rest assured, it will look like it is worth a LOT more. If you are looking for a designer handbag with a not-so-designer price tag, head straight to shop no. 151 in the export lane. They also have lamps and dreamcatchers. Other than the heaps of export surplus, Sarojini market also has showrooms of brands like Stelatoes, Kins, Woodland, Bata, Converse, Peter England, Incense (the blogger-approved brand and one of my personal favourites) to name a few. You will find footwear and clothes of every make, price-range, colour and style here. The best part? The stuff is all genuine. If you thought that Sarojini Nagar has nothing more than shopping, we are happy to burst your bubble. Apart from street style fashion, the market is equally popular for street food joints as well offering food options just as delicious as the clothes. Whether you want to kickstart your shopping spree with a wholesome breakfast of Dilli ke mushoor chhole bhature or stop for lunch at one of the restaurants, food at Sarojini market will always have your back. ...the list doesn’t end anytime soon. ...to begin with. With every next visit to Sarojini, I come across a newbie at this mall. The place won’t ever disappoint you. Apart from food, there are also a couple of beauty salons including Jawed Habib’s, and cosmetic stores to shop at. Of course, there are washrooms at the mall but I would suggest you use them only when absolutely necessary. They are not always clean thanks to the thousands of people who visit the area every day. The mall also has ATM machines installed and a very good parking space in the basement in case you wish to bring your own vehicle. Yes, sometimes the collection might be dull and you might come back with not more than two pieces of clothes, but the food at Sarojini will make up for it, I bet. 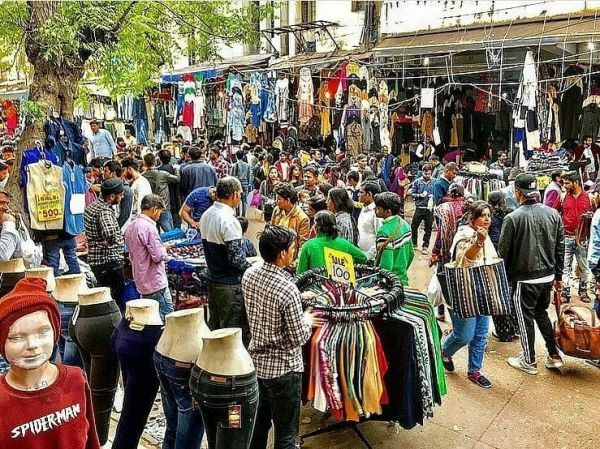 How Is Sarojini Nagar Market So Cheap? Before Zara, Forever 21, and H&M opened up their stores in Delhi - Sarojini Nagar was my go-to place to get clothes from Zara, Forever 21 and H&M. I have bought a lot of branded clothes from Sarojini and they make me feel like a million bucks for a price as low as Rs 250. So, I couldn’t help but wonder, where do the bhaiyas get their stock from? All the stacks and racks of clothes you see at Sarojini is ‘export surplus’. Yes, you have probably already heard that term before. There are over a hundred factories in and around Delhi contracted by your favourite global brands to make clothes. Think Gap, Primark, Mango, Adidas, Topshop, Zara, H&M and Forever 21. How these high-end brands reach here is yet another adventurous topic to explore. Here is everything you need to know about how is all the stuff at Sarojini so cheap. We did all the investigation and math for you. Yes, we did! 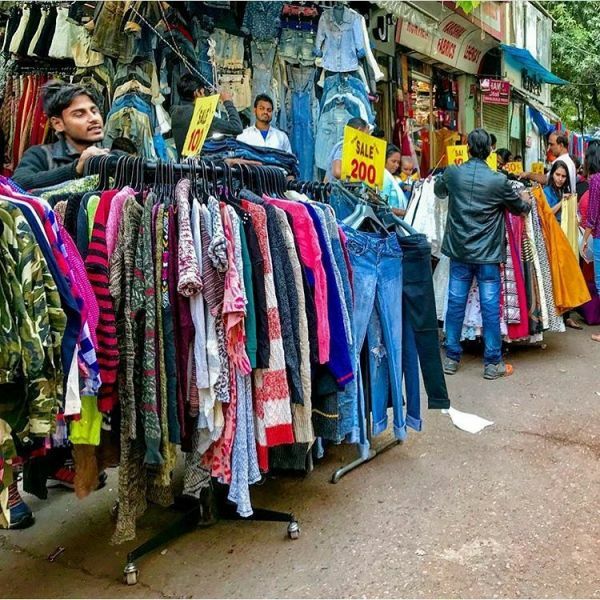 How To Bargain In Sarojini Nagar Market? 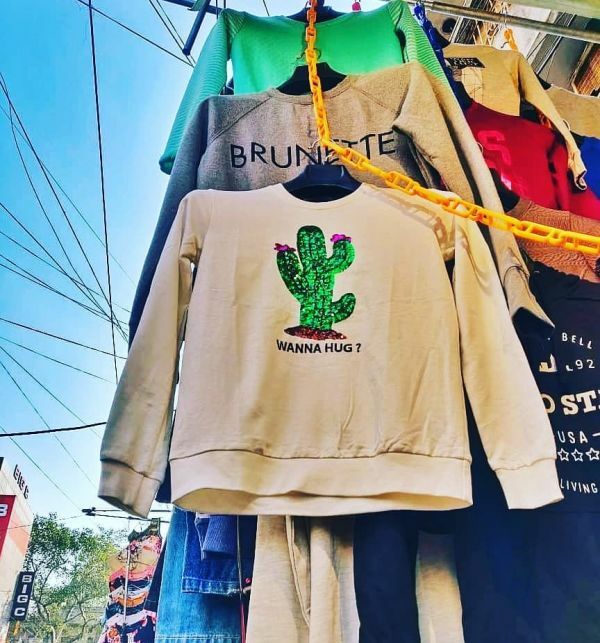 Now that we have shared our hard-earned secrets about Sarojini Nagar with you, you should also know that agreeing to the first price the shopkeeper quotes for that top is not what you want to do there. 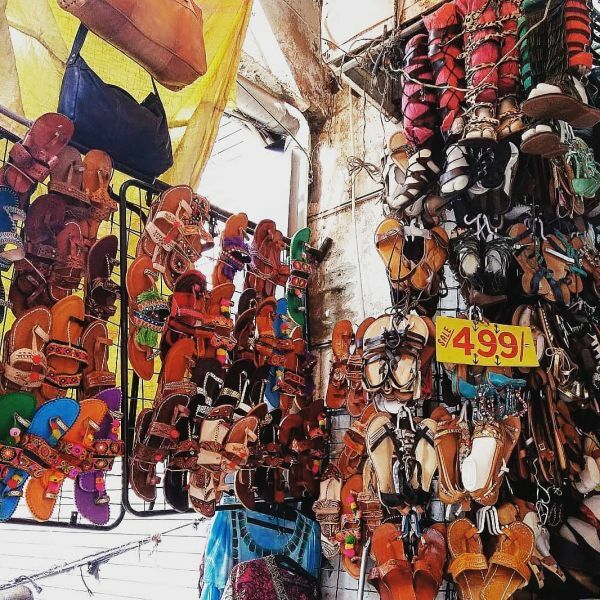 Sarojini Nagar is every woman’s paradise where she can get her fill of fashion everything at the cheapest prices and she does that by the art of negotiation. Bargaining is a part of the Sarojini experience. To make the most of it, here are some tips to bargain so you can get the bhaiyas to give in to your price. Bring that top down from Rs 500 to Rs 150 by using one of these 18 easy tricks. Trust me, they work. Always! If you can’t handle the sweaty, crowded streets of Sarojini market with all the plastic bags turning your fingers white with no blood circulation, or are not based out of Delhi, good news - Sarojini Nagar is available online too! Online Sarojini Nagar (www.onlinesarojininagar.com) lets you shop the latest trends for Sarojini-like prices (or maybe less). 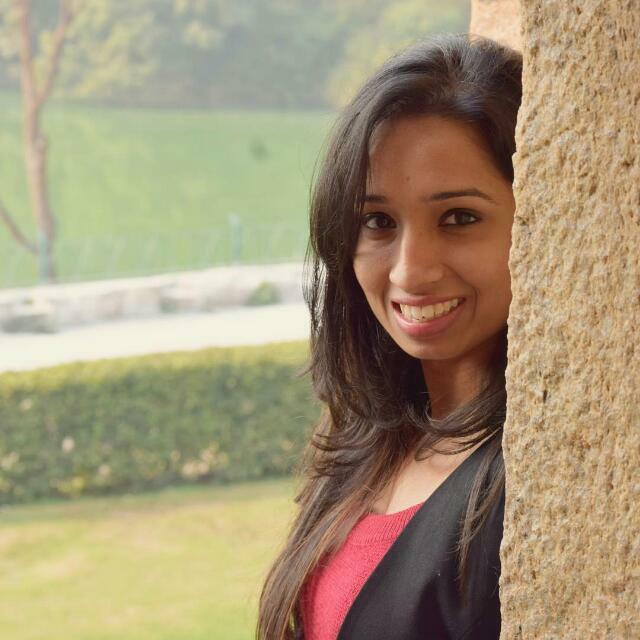 Mohammad Adil, founder of Online Sarojini has started this venture to make fashion affordable for all. They also have an Instagram page so you can stay updated with their new collection! The website has a wide variety of clothes to choose from. All of which are priced just perfectly for the college-going girl who lives on a budget. Best? You can further bargain the prices online just like you do in the market. If you think it doesn’t get better, there is some more exciting news for you. You don’t have to spend extra on shipping! ALL their orders are free of shipping charges. Well, Hallelujah! Check for wear and tear on whatever you are about to purchase. Always point out the defect (whether minimal or obvious) to the shopkeeper. It really helps extract an even lower price for the item. The sizing on the garments is questionable, so the only way to ascertain size is to hold two pieces against each other and then against yourself. If you are still not sure, you always have your tailor to rely on. In fact, lately, many shops have started appointing a tailor of their own. You can get your purchase fixed then and there only without any additional alteration cost. Beware of pickpockets. We cannot say this enough. Keep your phone in your hand at all times or zipped in your bag. Carry a sling bag instead of a wristlet, a fanny pack or a wallet to keep your money. You will meet all kinds of people here so better be wary of your belongings. Not just that, in all the hustle and bustle, you might just drop your phone or your purse never to find it again. Always, always take cash to Sarojini as the shops here won’t accept any card or PayTM money. In fact, take loose cash. Break your bigger currency into a lot of the 50s, 100s and 200s. These are the denominations you will be using the most. There a few ATMs also in the market like ICICI Bank, and at the South Square Mall. So make your way to one of these before entering the market lanes. While we are on the subject, never pay more than Rs 250 for any basic clothing item. Rs 100-150 should be the usual price for tops. For bottoms, Rs 200-250. Accessories can be bought under Rs 50. And remember - don’t be afraid to bargain. That is the key here. Since you won’t get any bill for your purchases, check with the shopkeeper if you can come back and return or exchange the item in case it doesn’t fit you or loses colour after wash. Most of the shops allow you that much now. You need to ask. And remember the shop number so it is easier for you to find it later. The flimsy, polythene bags in which the shopkeepers wrap the clothes become extremely inconvenient to handle if you make a lot of purchases. So, we suggest you carry a spacious tote bag to stuff it all in one. When visiting with a group of friends, keep an eye out for any landmarks (be it hoardings or the fruit juice shops). Make a mental note so that you may return there in case you get lost or separated. Before wearing the clothes, please, oh, please get them washed. You don’t know for how long it has been sitting in dust or how many people it has been felt by. You will see this for yourself once you are here but the majority of shops sell the same styles and pieces. If one shopkeeper is not agreeing to your price, don’t give in to his. Try the next shop.